Know the difference between an interior designer and an interior decorator – Fox News points out that many people use the terms ‘interior designer’ and ‘interior decorator’ interchangeably. Don’t make this mistake, though. For the most part, designers determine the layout of the room and then move on to decorating aspects such as lighting, paint, and furnishing. Decorators, on the other hand, join the process once the construction piece is completed. Figure out what you want – It’s easy to get too far ahead of yourself when considering master bedroom ideas, living room design ideas, etc. Take some time to nail down the scope of your project. Are you completely set on one thing or are you more open to suggestions? Then start to think about the look and feel of your project. Do you prefer something more modern and luxurious or on the simpler side? The more you know ahead of time, the better. Ask for references – Now’s the time to find that ideal interior design team. Before doing online research, ask around for any suggestions. You might find that a friend or a family member recently had a good experience with an interior designer. As with hiring any contractor, you want someone who is reliable and has proven over time that they perform the highest quality of work. Look at portfolios – Compile a list of several potential interior designers. Then take a look at their portfolios to really get a feel for his or her style. Does it align with your specific tastes? If not, then it’s a good idea to move on to the next option. Do what you can to see the designer’s work in a showcase or model home. This allows you to get an up-close look at a finished product. Lastly, double-check details such as the interior designer’s credentials, experience, and licensing. Hire someone you feel comfortable around – Hopefully, you’ve whittled down your list of candidates to two or three by this point. Our last major piece of advice is to opt for the designer who will work with you the most. Keep in mind that, throughout the process, you will want to ask questions and make suggestions. 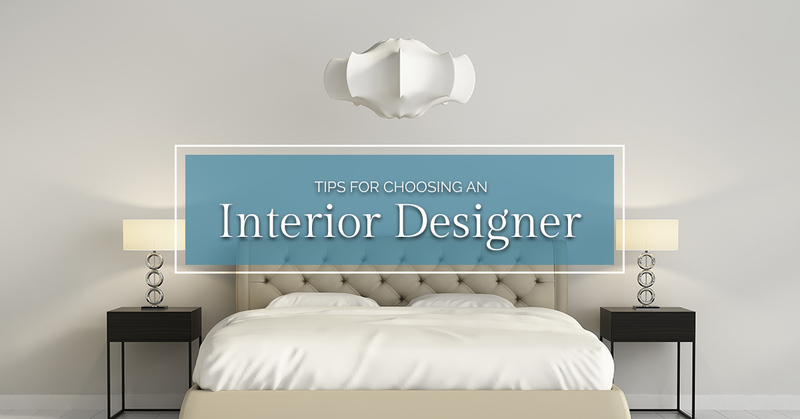 The best interior designers are the ones who use that input so that the room ends up the way you envisioned it in the first place. If any of your remaining candidates seem inflexible and set in their own ways, you probably don’t want to hire them. Soleil By Design is an award-winning home design firm in Seattle. For years, we have created beautiful, professional, and custom spaces for homeowners. What sets us apart is that we focus on what the customer wants, not the other way around. Whether it’s kitchen design, bedroom design, bathroom design, living room design, or something different, Soleil can help. Don’t stress over hiring an interior designer any longer. Call us now to start your project.